In the spirit of ”YOUR NETWORK IS YOUR NETWORTH” we were excitedly waiting for our guests on the 5th February from Central-Eastern Europe, Hungary, Luxemburg and UK. The effectiveness and popularity of the BRIDGEHEAD-NOTWORKING™ is very variedness. 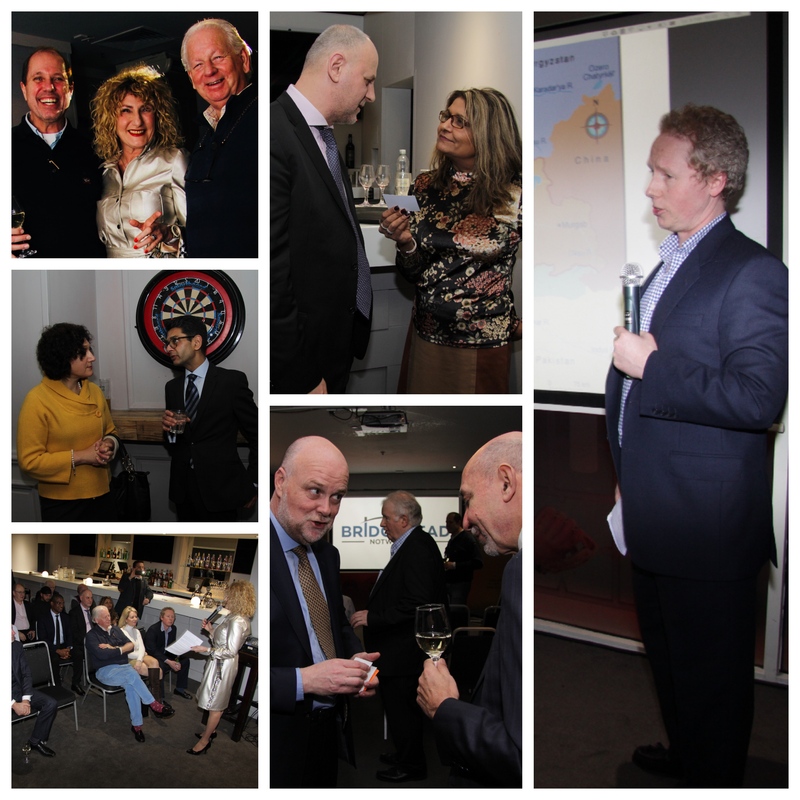 This time was no different, 44 business representatives from the UK and around the world fetched up to establish business relations and to open to the Central Eastern European, Hungarian, and the global market. At the beginning of the 21st century with artificial intelligence and technology having no boundaries, we were honoured to have an introduction to the innovations of Hun-Tech System Ltd in the short video showing its patented products, like: production of turbine blades, and weapon components manufactured for the Defence sector, making high-precision long-holes with the patented Strech Booring System. Kis-Benedek Gyula, the founder, owner, inventor has had a 40-year experience with many patents and intends to launch their products to the UK market. László Kürti, CEO (Hydra Ltd) emphasized that ”A new paradigm is needed to break out of the vicious circle”. Hydra has created a new generation Transaction Tracking technology and international standard that increases the transparency of the whole financial ecosystem and helps purifying and integrate cryptocurrencies into the traditional payment system. This technology is based on a patented process that provides real-time transaction history. In addition to the above mentioned 2 start-up companies there were many professionals and business owners from leading corporations and the financial, investment and business support sectors. As previously so many of our guests could not resist the temptation and remarked how venturesome a dress we were wearing which is designed by NAVONA Rózsa Megla. It is a fundamental fact that personal development is the engine of a business’s success. Our guest speakers’ in the previous 3 events – so far Peter Bishop, the Deputy Chief Executive of London Chamber of Commerce & Industry, Richard Bingley and Graeme McGowan Global Cyber Academy’s CEO, Advisory Council Member and Geoff Hudson-Searle Digital Non-Executive Director, CEO, author, business mentor –spoke to a wide range of different industries with useful insights that many have commented they took something away to develop within their own businesses. This time William Ralston-Saul (Founder, CEO AURER Gold Extraction Technology Developer), a successful, energetic gentleman, with an amazing sense of humour spoke about his experience after studying at Eton then going to Imperial College to study Mining Engineering, but in his first year at Imperial made a bold move and chose to leave University and join his father, in war torn Tajikistan to help construct a Gold Processing Plant and take over the management of the gold plant’s construction by assembling a 700 – man operational team . His presentation included a lot of useful case studies about how careful, dedicated and committed a business owner has to be to achieve their goals and it was also so inspiring how his company became a leader in gold extraction using developing nanotechnology. Now William is pushing AURER forward to optimise the process in preparation for going into commercial production. William also “skates to where the puck is going to be, not where it has been”. We believe the saying: ”it takes a village to raise a child” also applies in the business world. 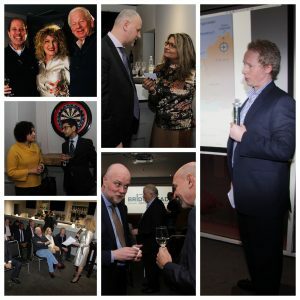 It takes companies who are willing to genuinely educate and empower businesses by actively helping them to grow by supporting events such as theBRIDGEHEAD-NOTWORKING™. 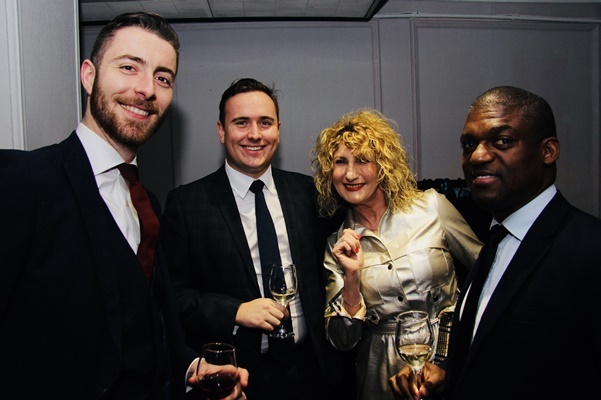 Not surprisingly, the number of those company owners who attend our events to meet and find reliable, professional suppliers, whose attitudes match theirs and their rapidly increasing clients is the secret of making their business grow. These suppliers are creative, with an up-to-date knowledge of strategy and technology. A big thank you to our guests who participated in the Bridgehead-NOTworking™ International Business Meeting and also a big thank you to you, dear reader, who while reading our Newsletter made the right decision to join us next time! “Well organised event and the speaker was very inspiring. or call 07 492 854 457 with any event queries. If you would like to attend, please reply asap places are limited. For the exciting details of our projects CLICK HERE!